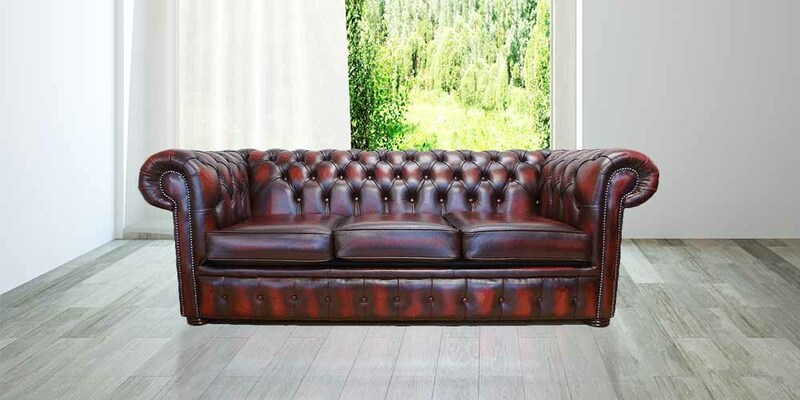 Chesterfield sofas are huge and require a lot of space. Their rolled arms need good ten eleven inches of extra space on both sides. So, be sure about the space you can afford to leave and don’t over occupy your living space. Generally, sofas having higher legs make rooms look less occupied. Integrate your stuff with chesterfield sofa to achieve a nice gel. Choose the right one that best comforts you and make a purchase at designer sofas 4u. surroundings, going with bold colours like blue, red, magenta is okay! Go for a light colour in a dark coloured room. You are probably fascinated by the captivating classy looks of a leather chesterfield sofa and want it in your lounge but don’t forget you have to live with it. Buying a sofa is one of the most important furniture decisions one makes. You want the traditional grace but don’t want the traditional problems coming to your home, right? Get a high quality, comfortable and one having a rolled over back. You shouldn’t compromise personal comfort for the sake of looks, merely. Make a wise decision about what, probably, is going long way with you. Traditional fabrics are difficult to maintain. They can be really lavishing, but, probably you can’t go easy with it. You just can’t let it stain and you have to take extra care with respect to its cleansing. There are modern fabrics available like velvet that can give the same effect as silk. You can just put your worries aside by wisely choosing upholstery for your sofa. So far, we have talked about making this traditional item adjustable to our modern world. It should be cosy and easy to maintain but don’t let it loose its grandeur in the process. Nevertheless, you are getting it to achieve a classical look; otherwise, you could have easily bought any xyz sofa. Don’t do much with rolled arms or tufts. Go with narrowly spaced tufts to achieve the traditional grace. So, make a well considered decision but don’t baffle over choosing the right one that best suits you and your family. Make up your mind, consult us, and get your chesterfield sofa from designer sofas 4u.